Fish First! retail staff are friendly, experienced anglers eager to share their expertise in fly fishing and knowledge of fly fishing products. Our staff takes pride in providing excellent service to customers of all experience and skill levels. Fish First! 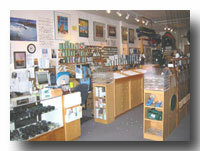 is an authorized dealer of the very best flyfishing products. To see a complete listing of the brand name products we currently stock visit our authorized dealer page. For complete product description and specific technical information, follow the link to the manufacturer's website or contact our Albany and Chico stores. Throughout the year you can find quality discontinued and used fly fishing gear available at significant discounts of 30-50% off on the Fish First! Sale! Merchandise page. Sale merchandise is updated frequently. To place an order, check on product availability, or ask any questions please call or email our Albany or Chico store location.